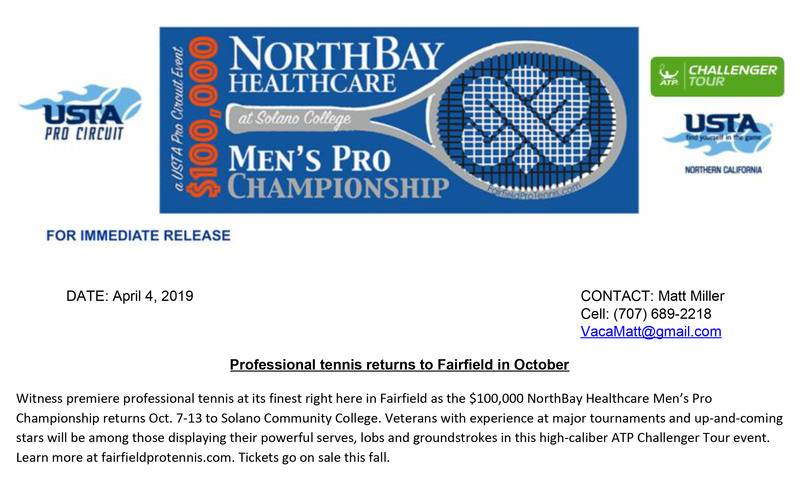 Witness premiere professional tennis at its finest right here in Fairfield as the $100,000 NorthBay Healthcare Men’s Pro Championship returns Oct. 7-13 to Solano Community College. Veterans with experience at major tournaments and up-and-coming stars will be among those displaying their powerful serves, lobs and groundstrokes in this high-caliber ATP Challenger Tour event. Learn more at fairfieldprotennis.com. Tickets go on sale this fall.